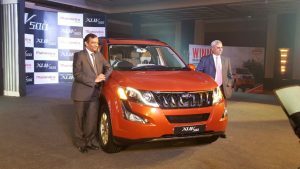 New Mahindra XUV500 facelift launch has just taken place at an official event in Delhi and what we have here on this page are images of the just launched new Mahindra XUV500 facelift! 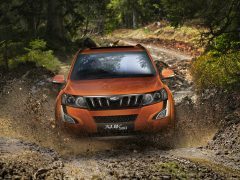 The updated XUV gets a new front-end, new alloy wheels and an ever so slightly updated rear-end. As is evident from the images that we have here, the Mahindra XUV 500 2015 model gets some ‘not so radical’ cosmetic changes in the styling of its front- and rear-end. 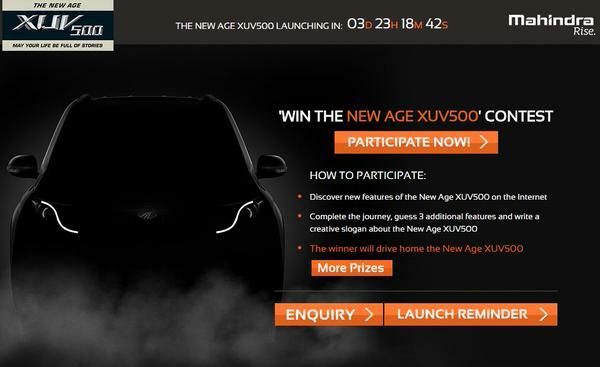 Stay tuned to Car Blog India for all the updates on the new model. 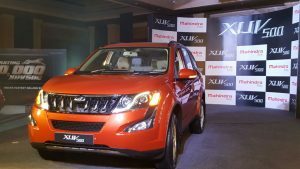 Meanwhile, here’s our launch report on the just launched Mahindra XUV500 facelift. 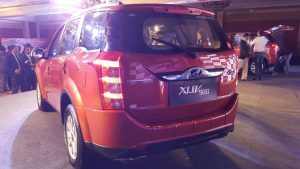 While the car will get a set of re-profiled headlamps, re-styled bumper and grille upfront, the rear-end gets only some additional chrome around its license-plate housing. 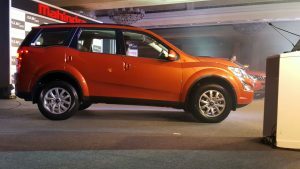 The car also gets new design alloy wheels that look far sportier than the ones being offered on the current model. The interior of the car gets new beige upholstery and new colour for the trim. 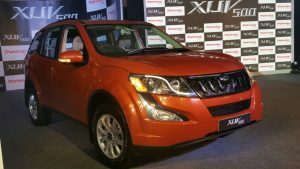 Mechanically, the XUV will continue to be powered by a a 2.2-litre, four-cylinder, turbocharged diesel engine that comes mated with a six-speed manual gearbox. This engine has a max power output of 140 bhp @ 3750 rpm and a peak torque of 330 Nm between 1600 and 2800 rpm. 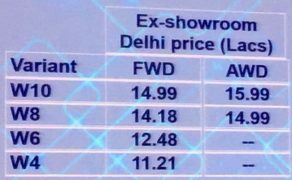 There are good chances that these figures will be tweaked for marginally better performance. 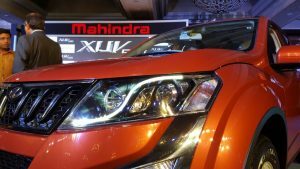 Mahindra could even tinker with the gear ratios for optimizing the XUV’s fuel economy. 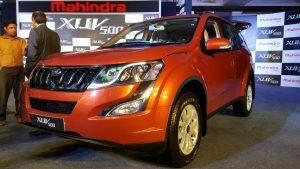 While the power figures might be left unchanged, the fuel efficiency could be enhanced slightly by tweaking the gear ratios. 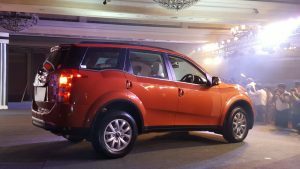 The biggest update however, could be the introduction of an automatic transmission. 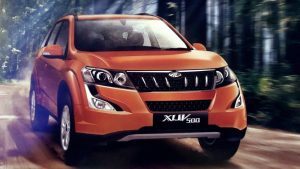 Rumours related to Mahindra XUV 500 Automatic launch have been abounding since some time now, but recently, our sources informed us that the new gearbox will debut with the facelift. 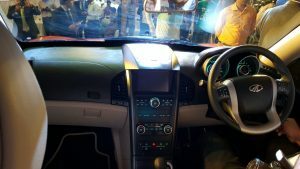 Also, the auto gearbox would be available only with the top-end W8 4WD variant. 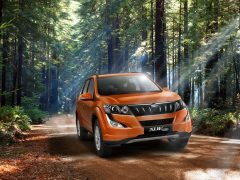 Stay tuned to Car Blog India for more new Mahindra XUV500 facelift launch details.